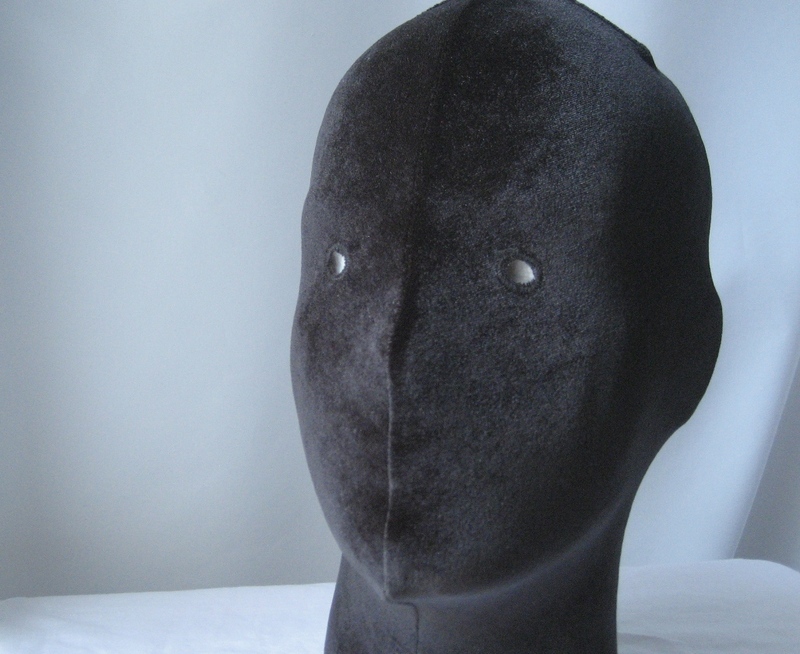 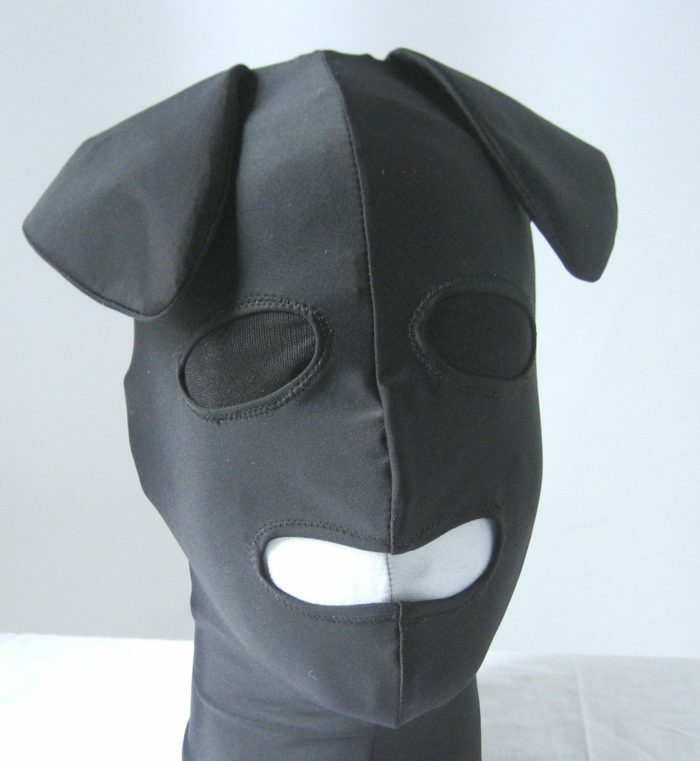 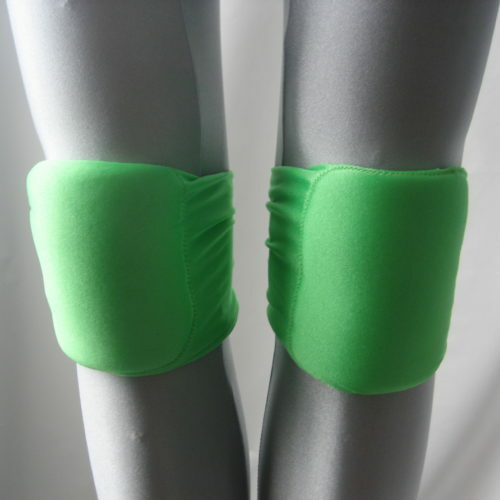 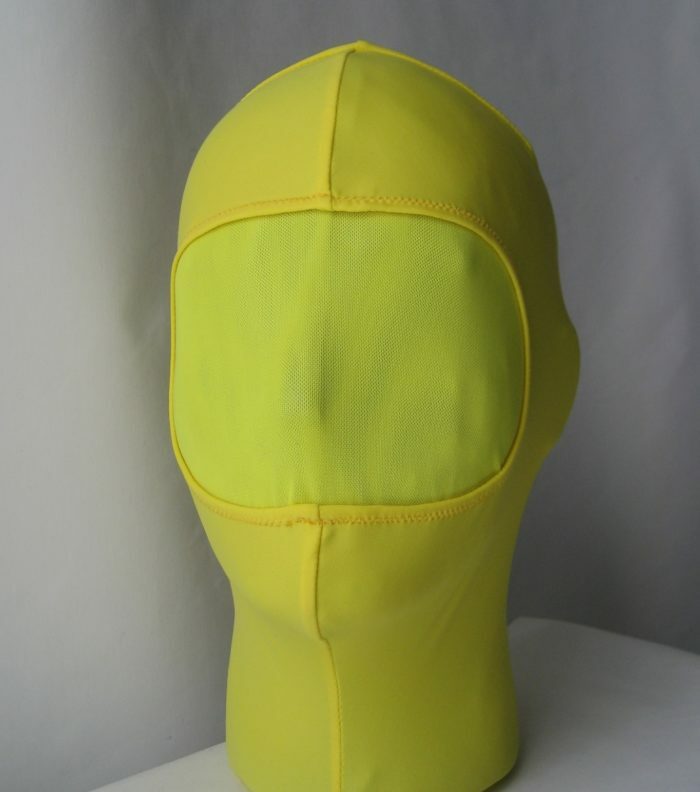 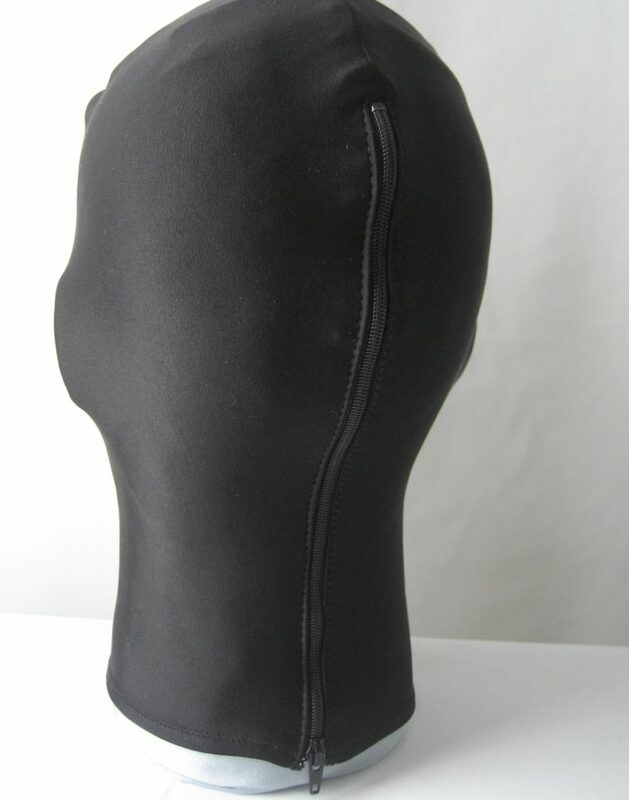 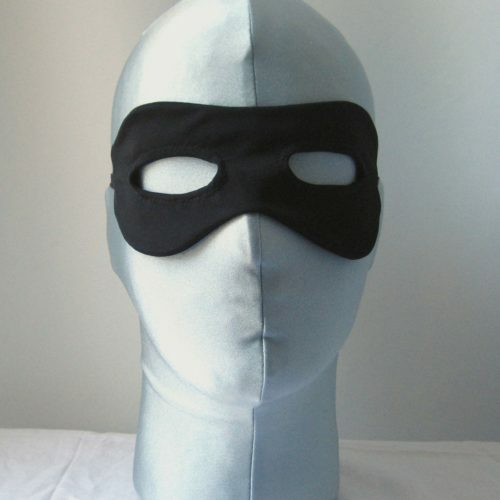 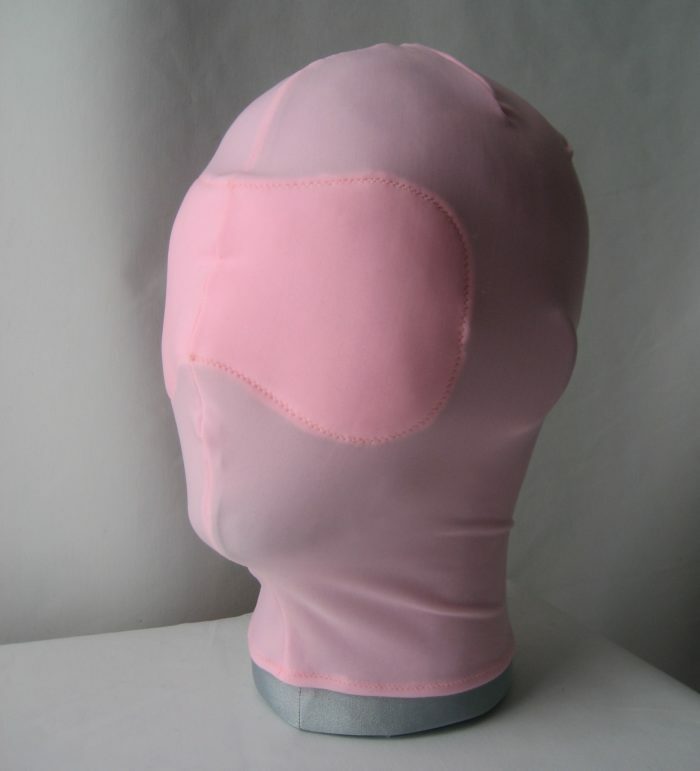 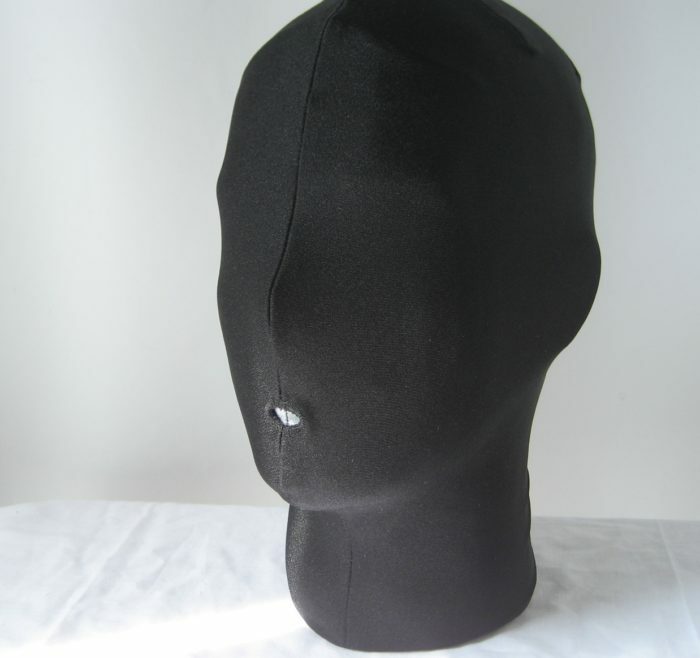 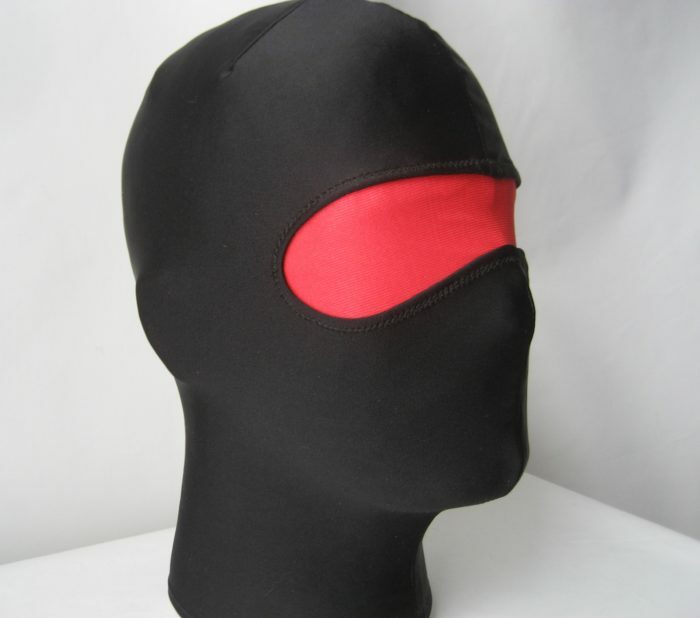 Removable spandex hoods can be worn by alone, or in combination with any of our other garments. 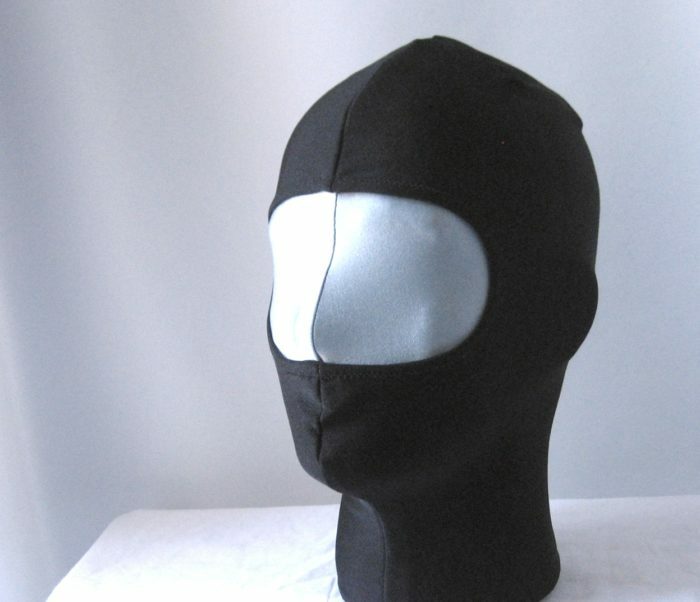 Hood shown is in our Black Velour Spandex, but we have many fabrics and options available to customize your hood exactly the way you want it. Hoods can be made without openings EXCEPT FOR PVC. 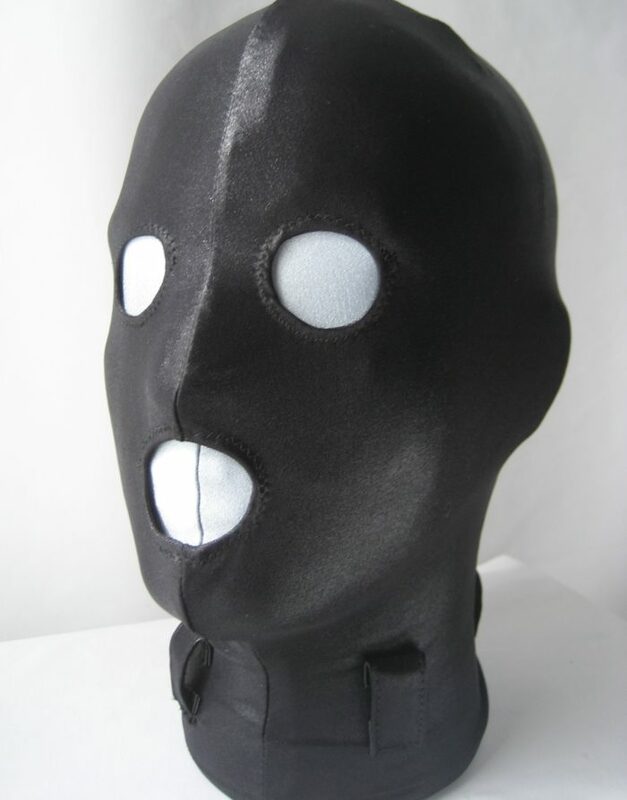 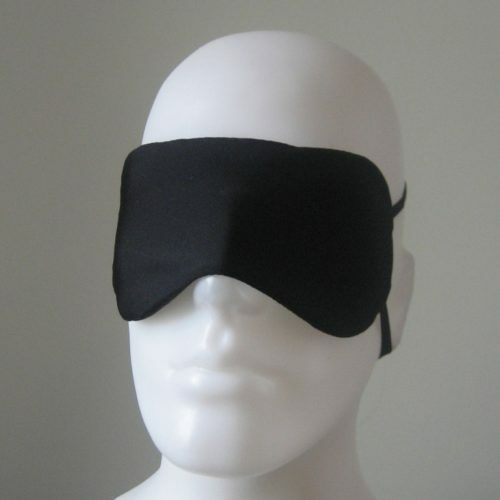 For any PVC hood, you MUST select at least one mouth or nose opening to allow for breathing. 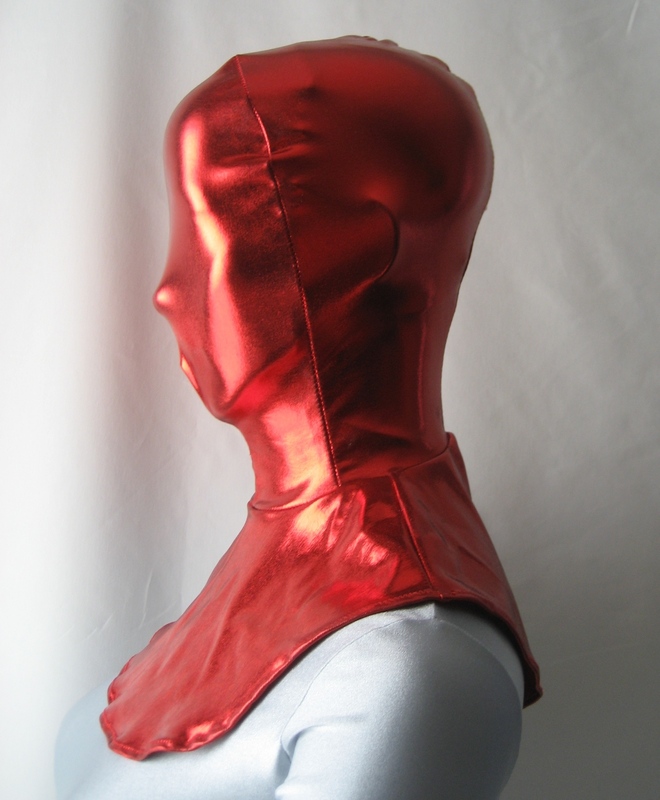 Hoods are sized by head circumference, indicated in inches in the Sizing drop down menu.